Bedford Breast Center is proud to provide patients with comprehensive, compassionate, and exceptional surgical treatment of breast cancer, including mastectomy, lumpectomy and direct-to-implant breast reconstruction. With a staff that has been gathered from among the best in their respective fields, the Bedford Breast Center provides breast care which is second to none. Our team of breast cancer surgeons, oncologists, nurses and anesthetists cover all aspects of breast cancer screening and treatment options in a friendly environment that strives to be as stress-free as possible. If you require breast cancer surgery in Los Angeles, the specialists at Bedford Breast Center will help you on your journey to recovery – from post-diagnosis strategies to breast reconstruction – every step of the way. In most cases women with breast cancer will have some sort of surgery as part of their breast cancer treatment. There are several breast cancer surgeries that our breast cancer surgeons specialize in, which include lymph node biopsy, lumpectomy, breast conserving surgery, mastectomy, breast reconstruction during mastectomy and breast reconstruction after mastectomy. Bedford Breast Center’s breast cancer surgeons are among the top surgeons in the field today, and we are dedicated to providing the highest standard of breast reconstruction in Los Angeles, every day. Dr. Memsic brings over 33 years of medical experience to her demanding surgical practice in the Los Angeles area. Breast cancer patients seeking treatment at the Bedford Breast Center uniformly praise her compassion and understanding as well as her miraculous surgical skill. 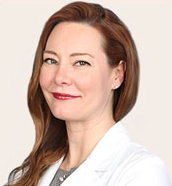 Board certified by the American Board of Plastic Surgeons, Dr. Cassileth divides her time between her private plastic and reconstructive surgery practice in Beverly Hills, and her duties as Clinical Chief of the Division of Plastic Surgery at Cedars-Sinai Medical Center. She also mentors and trains surgical residents in the breakthrough breast reconstruction methods she herself has pioneered making her one of the best breast cancer surgeons Los Angeles has. 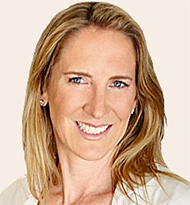 Dr. Caroline Moss is an expert physician who has practice experience and training from centers across the United States. 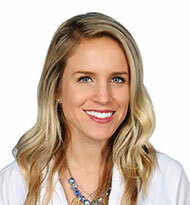 She began her training in Nevada and has expertise in both MRI and ultrasound interpretation. 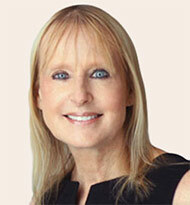 She completed her radiology training UCLA and has been practicing as a breast imaging specialist since 1991. We are happy to have her as a member of the Bedford Breast Center where she counsels patients on mammogram and ultrasound findings as well as helps provide pinpoint accuracy to allow for cancer removal and diagnosis. Prior to joining the Bedford Breast Center, Kelly worked as a nurse in the cardiothoracic intensive care unit as well as a surgical nurse in multiple academic medical institutions, including a level one trauma center at the University of California, Irvine. Most recently, she served as a surgical nurse at UCLA Santa Monica Medical Center, where she circulated in a variety of multi-specialty procedures. A highlight of Kelly’s career in medicine thus far was when she had the opportunity to serve as a medical volunteer in Port-Au-Prince, Haiti. Kelly earned her Master of Science Degree in Nursing from California State University, Long Beach and her Bachelor of Science in Nursing Degree from the University of California, Irvine. She is board certified as a Family Nurse Practitioner through the American Nurses Credentialing Center (ANCC). During her master’s program, she was inducted into the International Nursing Honor Society, Sigma Theta Tau and graduated with honors. Kelly also holds a post masters certificate in nursing education. Kelly is newly married and likes to spend her free time outdoors playing tennis, running, or searching for new hiking trails with her husband.